What’s the best way to see one of the world’s great melting pots? A Monograms vacation, of course! With Monograms, seeing Singapore is simple, not stressful. We coordinate hotel accommodations, daily breakfast, and private guided sightseeing for you so that your 4-day escape gives you the best bang for your buck. 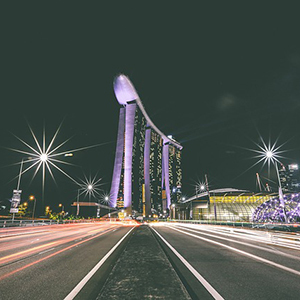 Plus, we provide you with a Local Host®-someone to ensure that you don’t miss Singapore’s must-see sights.